1. If you’re using an auto-importer (such as Journal Lync), you have the best of all worlds; you can simply make notes as you go, and your executions will be loaded in near real-time. 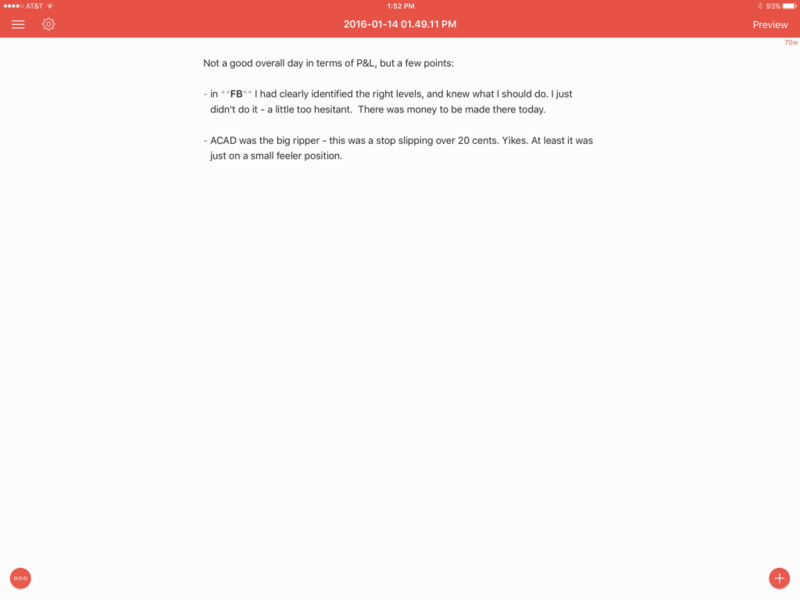 Importing can be automated via our API. 2. You can import your trades at the end of the day (or at whatever frequency makes sense for you), and then make notes on your trades. 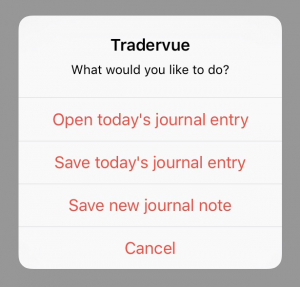 This is simple and easy, but the downside is by the time you import your trades, you may not remember everything that you would have liked to make notes about. 3. 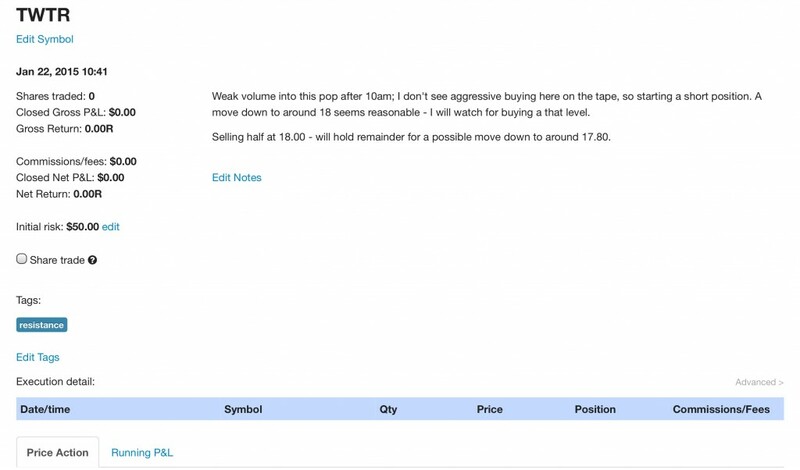 You can make per-trade notes throughout the day, and then have your imported executions “match up” with those notes when you import at the end of the day. Let’s dive into a bit more detail about how the third option works. 2. If there are tags you want to apply to the trade, add them here. If you’re using account tags, add a tag for the account. 3. If you’re using risk tracking, enter your initial risk. Now you have the trade saved, albeit with no executions yet. 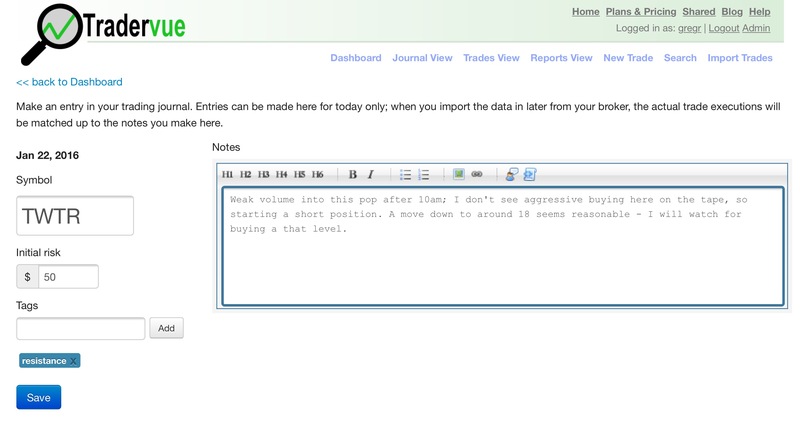 This is a very useful way to make the best use of your journal throughout the trading day. 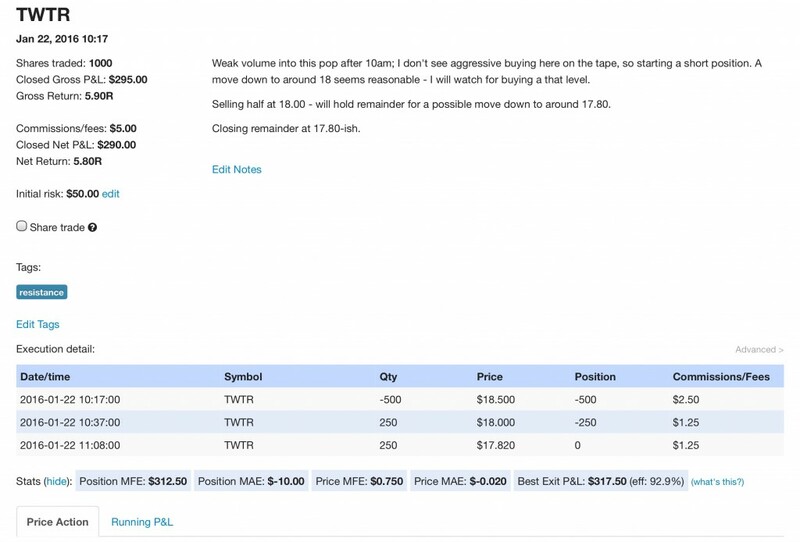 You can make notes on your trades when your thoughts are fresh in your mind, and not lose any nuance that you might miss if you wait until the end of the day. We’ve recently made some major additions to our API, and there has been quite a bit of interest around them. 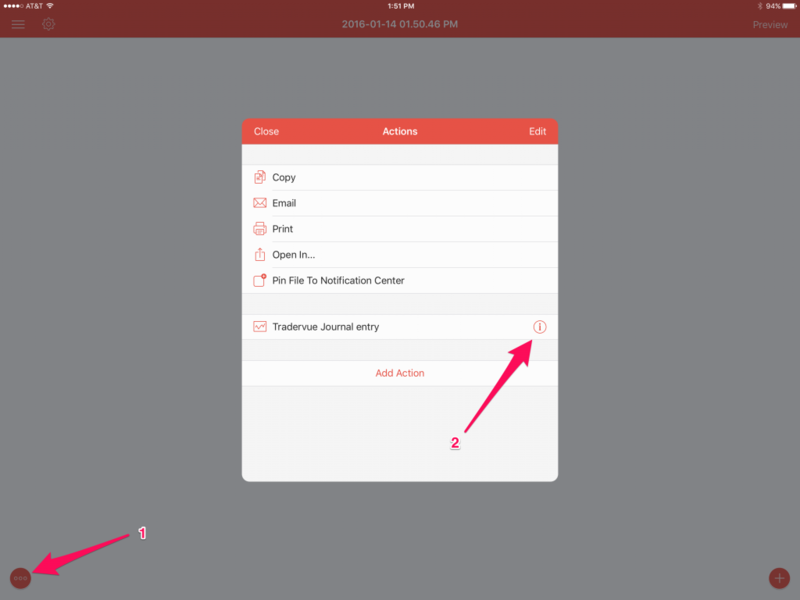 Today we will demonstrate a 1Writer action, where you can create journal entries and notes from the powerful markdown editor app on iOS. Then you can close the action and go back to the editor. 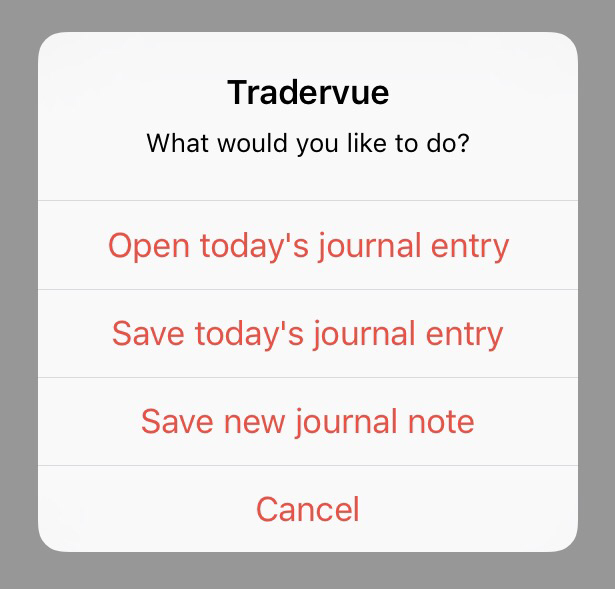 You can also save the current note in 1Writer as a new Journal note – if you haven’t used them before, see Journal Notes in Tradervue. Note that this action is primarily intended as an API sample, and is unsupported – but that said, it’s super handy, so feel free to use it! The list goes on and on! See the updated documentation for the API for more details. We’re also not done with the API – so if there is something you’re trying to do, and you need additional API support, let us know!